Why wake up to deal with people when you can stay asleep?? 1. A 1800–thread count microfiber sheet set that'll make your bed way more luxurious than ever before. The deep pockets on the fitted sheet will fit pillow-top mattresses and those with memory foam toppers. If you're one to suffer from seasonal allergies, then this set is for you! The entire set is hypoallergenic AND fade-, stain-, and wrinkle-resistant. Get a full set (flat sheet, fitted sheet, and pillowcases) from Amazon for $25.90+ (available in twin—Cal king and nine colors). 2. A felt bedside caddy to hold essentials like glasses, a TV remote, and cell phone, because once you're in bed, you don't want to move for anything. The back flap tucks under your mattress so the caddy stays firmly in place all night long. 3. A hypoallergenic faux fur blanket so you can fully wrap yourself up like a burrito on freezing cold nights. When not in use, you can keep it draped over the foot of your bed. The plus? This blanket won't shed and is anti-static. Get it from Amazon for $25.98+ (available in five sizes and 23 colors). If you're interested in other options, check out an electric blanket, a cable knit blanket, or a fleece blanket. 4. A dual-speed white noise machine, because blocking out the sound of the human population to get a sound sleep is vital. With this machine, you can fully control tone and volume for a personalized noise experience. Get it from Amazon for $44.90+ (available in four colors). Also, check out our review of the Marpac Dohm white noise machine. 5. A crocheted mermaid tail blanket for fulfilling those under-the-sea dreams à la Ariel. Disney kids, this one's for you! 6. Adhesive glow-in the-dark stars and spots to beautifully transform your bedroom ceiling into the night sky. The stickers vary in size and are 3D, plus they'll act like a nightlight for midnight bathroom trips. Get 332 stickers from Amazon for $11.98. 7. An air mattress with a built-in pillow and air pump so you can get actual rest on a camping trip or sleepover. It'll only take three minutes to inflate and has a waterproof top. 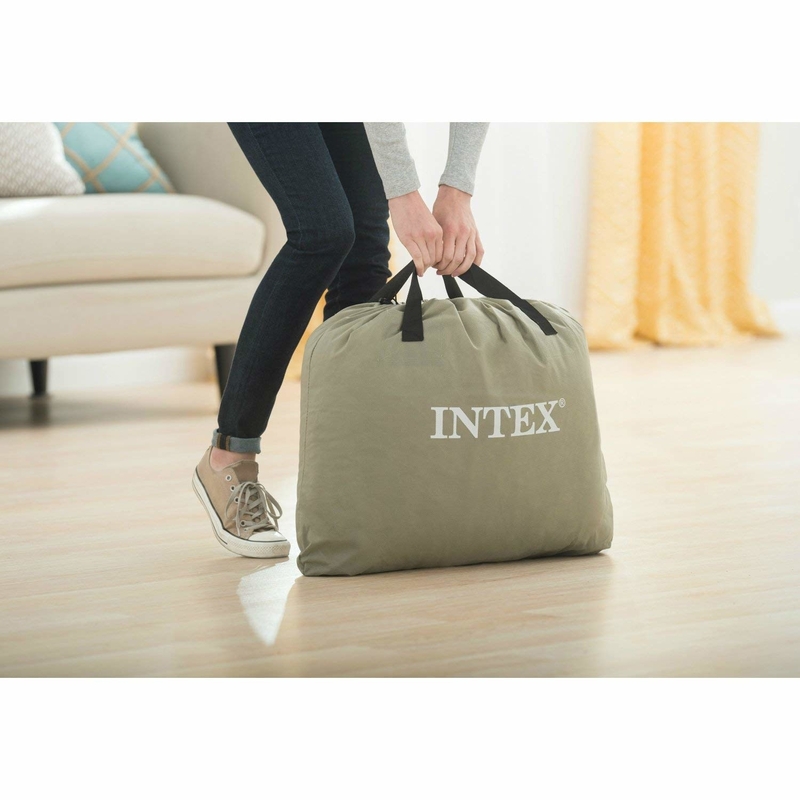 The built-in air pump means you don't need to lug one around separately! The wire folds back into the mattress to make travel oh so easy. Get it from Amazon for $41.49+ (available in twin or queen). 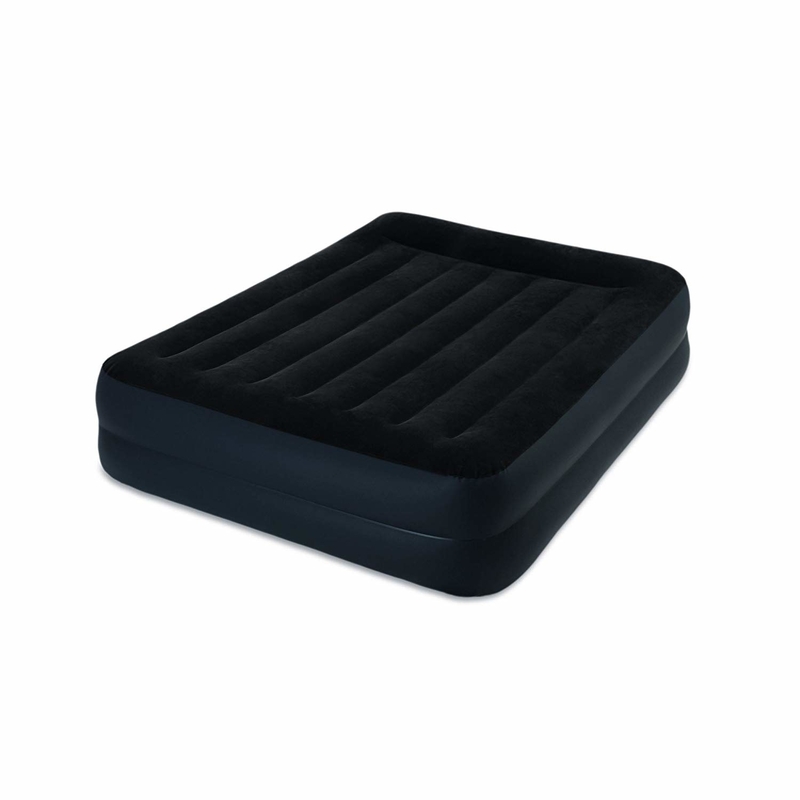 And check out our full review of the Intex air mattress here. 8. 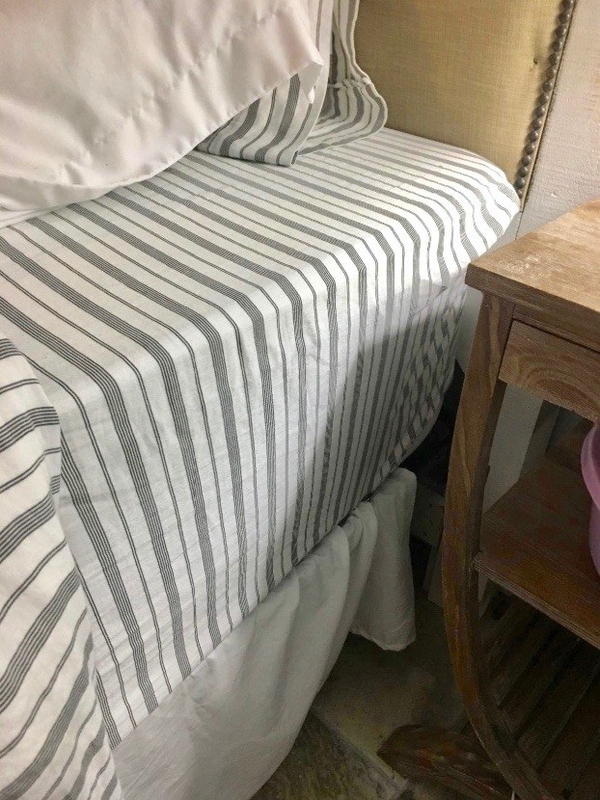 A fabric shaver and lint remover you can use on older sheets to make them feel brand new again. The stainless steel blades have two trimming modes and a protective cover for more delicate fabrics. This little gadget can work on bedding sets, sweaters, skirts, socks, and fabric toys. Plus, you get two (!!!) replacements blades for future use. If you have kids, fear not, the shaver has a safety-off function when the blade cover is off or loose. 9. A contoured 3D eye mask that won't put pressure on your eyes as you sleep. With an adjustable head strap and deep pockets, no amount of light will sneak through. Get it from Amazon for $8.99+ (available in six styles). 10. Or an adorable cat sleep mask with an elastic strap to get you that refreshing night's sleep. Get it from Forever21 for $4.90 (available in two colors). 11. A hypoallergenic memory foam body pillow if you're a side sleeper who needs something to wrap around. It won't lose shape and due to the breathable fabric, it won't cause you to overheat. 12. A Dr. Jart bedtime hydrating mask to moisturize your skin while you dive deep into your REM cycle. It'll lock in hydration and nutrients, boost firmness and elasticity, and remove impurities. AKA, the true definition of beauty sleep. Made from AquaMinerals and Himalayan pink salt, this moisturizer will really soothe your skin. And whether you have dry or oily skin, no problem. It works on all types, including those with a combination of the two. There are zero sulfates or parabens and no artificial fragrances or colors (meaning it won't cause skin irritation). Get it from Sephora for $48, or check out another product from Dr.Jart+ that battles redness and blemishes overnight. 13. 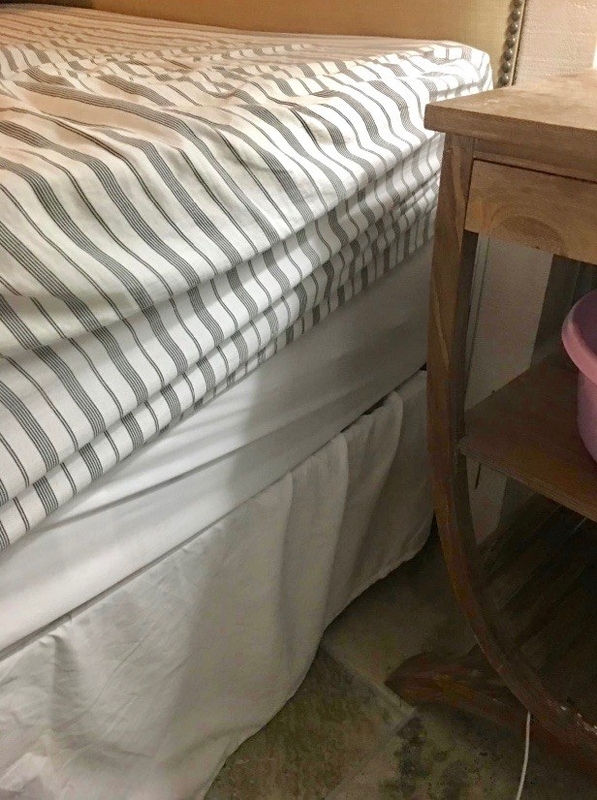 A set of bed bands so your fitted sheet stays in place through the entire night instead of riding up around the corners the second you lay down. Plus, they're adjustable to fit any and all bed sizes or sheet types. Get four bands from Amazon for $12.99+ (available in two sizes and four colors). 14. A temperature-regulating hygro cotton duvet insert that'll stay cool so you don't wake up with sweat beading down your neck. It'll pull moisture away from you, leaving you at the perfect temperature no matter the weather outside. Get it from BuzzFeed's Goodful line, sold exclusively at Macy's for $121.99+ (originally $175+, get an extra 20%-off with code LOVE, available in twin—king). 15. And to pair with the duvet insert, a couple temperature-regulating fluffy pillows for maximum support and comfort. Get it from BuzzFeed's Goodful line, sold exclusively at Macy's for $34.99+ (originally $50+, get an extra 20%-off with code LOVE, available in standard and king). Also, check out our picks for the best pillows on BuzzFeed Reviews. 16. Insulated three-layer blackout curtains to eliminate any extra light that may leak into your bedroom. They're also noise-reducing so if you live on a busy street, these are def for you. Just something to keep in mind – the darker the color of the shade, the better light-blocking ability! Get them from Amazon for $19.99+ (available in three sizes and 23 colors). Check out our full review of the Deconovo blackout curtains here. 17. Rubber door stoppers so you are never again awoken by a slamming door. The stopper will protect the wall, can be easily peeled on and off due to the adhesive backing, and has a tiny indent for door locks. If you've got a particularly noisy roommate, these also work for fridge or cabinet doors. Get four from Amazon for $9.97. 18. A unisex t-shirt to accurately relay how you feel at any given moment. Hopefully this will help limit human interaction. Each shirt is screen-printed, so shipping can take up to one to two weeks. Get it from Glamorous Couture Inc. on Etsy for $26 (available in sizes S—2XL). 19. A three-inch memory foam mattress topper infused with gel so you stay cool. The outer bamboo cover is hypoallergenic, antibacterial, and machine washable. The non-slip bottom will keep the topper in place, even when you toss and turn. When it first arrives, it will be folded and compressed, so give a full 24 hours to relax and expand. Also, there may be a slight odor from the manufacturing process, but don't freak out. It's non-toxic and will go away within two weeks. Get it from Amazon for $89.99+ (available in full–king, two or three inches). 20. A chin-supporting travel pillow that'll keep your neck and head stable on long flights and car rides. You can adjust the pillow to various positions, but no matter how you twist it, it'll always prevent you from getting that annoying stiff neck. You can layer the two ends on top of each other, which'll prevent your head from bobbing forward. Or you can create more cushion to one side if you tend to sleep with your head tilted left or right. Get it from Amazon for $24.97+ (available in sizes child, adult, or XL adult, and seven colors). It was also selected as our mid-price pick for the best travel pillows on BuzzFeed Reviews! 21. An incredibly quiet humidifier to last you through the night so you can avoid that mid-sleep stuffy nose wakeup. It'll work up to 42 hours continuously and has automatic shutoff when the water gets low. The amount of mist can be adjusted with a turn of the dial, and with a rotating nozzle, you can point exactly where you want the mist to go. Get it from Amazon for $35.99+ (available in two styles). 22. A foot rest so you can elevate your feet on a plane for a more comfortable sleep. Just hook it around your tray table and adjust the buckle for the right height. Promising review: "I bought this foot rest for a long flight (LA to Dublin), even though it felt somewhat gimicky at the time. I have to say that combined with a neck pillow, it is literally one of the best night's sleep I've ever gotten. I was so pleasantly surprised at how much a difference it made to have my feet/heels cradled during the flight. I slept a solid seven hours and had no jet lag at all. Highly recommend this for flying! It is a little bit tricky getting into it with the tight quarters of an airline seat, but it was totally worth it." —Megan L.
23. 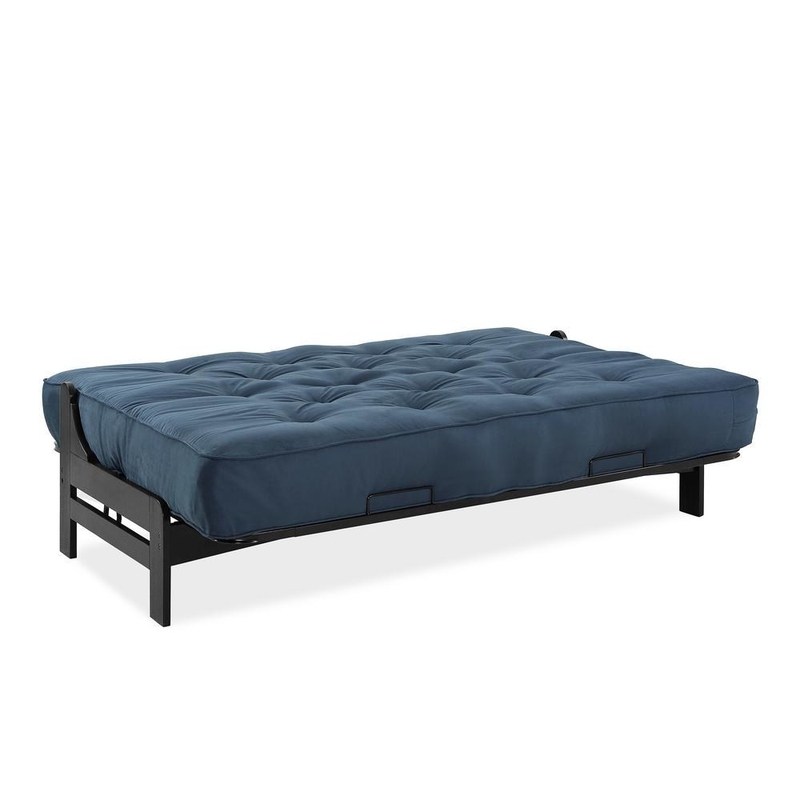 A futon bed if you're someone who takes couch napping very seriously...as you should. 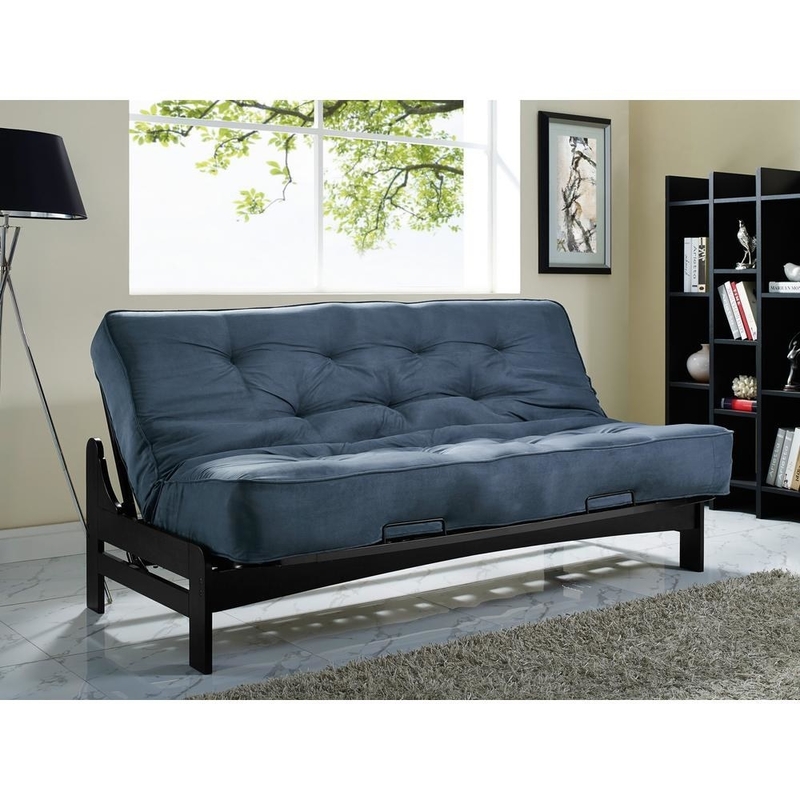 The solid frame and microfiber mattress make for the ideal place for mid-day naps and movies. You can easily go from couch to bed by adjusting the hinges! Simple, quick, and totally needed if you're a nap pro. Get it from The Home Depot for $371.05+ (available in five colors). 24. A sunrise alarm clock since the worst thing about every single morning is actually waking up! This one will rouse you from your slumber in a more natural, calming way. Unfortunately. It has a natural light lamp and a speaker that offers five different wake-up sounds. It also provides a go-to-sleep function that allows you to drift off to sleep with a sunset-like decreasing light mode. Get it from Amazon for $137.97. 25. A headphone headband to drown out any unwanted noise while you catch some Zs. Plus, you never have to worry about earbud pain again. You can pull the band down over your eyes for an eye mask, control volume, and connect to any smartphone or iPod. And we won't judge you if you decide to fall asleep to the ASIB album. We promise. Get it from Amazon for $39.95 (available in sizes XS—XL and eight colors). 26. 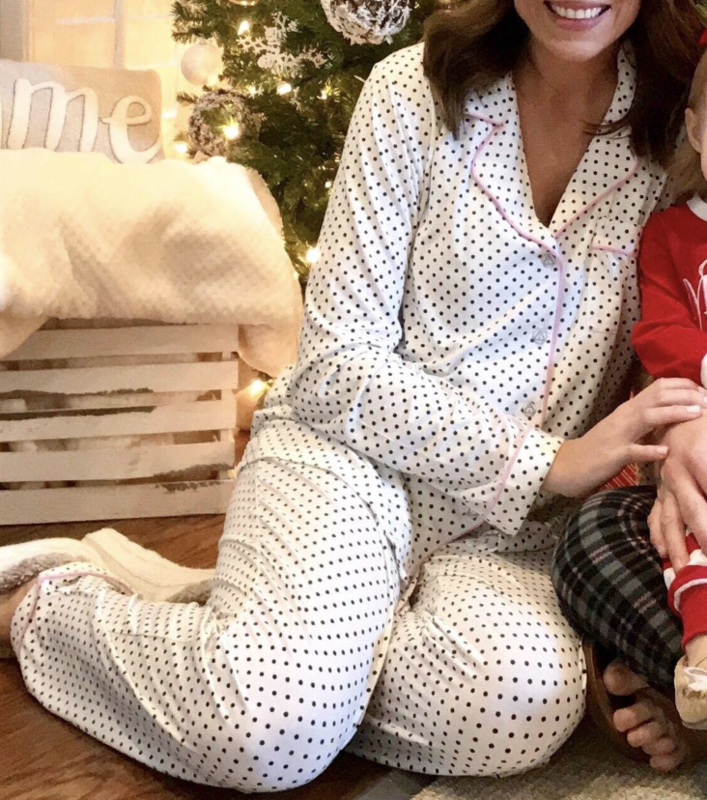 A lightweight, long-sleeve pajama set you'll seriously never want to take off to leave the house. And why should you? Get them from Amazon for $28.99+ (available in sizes XS—XXL and 40 styles). And check out this short-sleeve pajama set if you're a hot sleeper. 27. Fast-dissolve melatonin tablets that may help you fall and stay asleep much more easily. TBH, the quicker you can get to bed, the better. Our bodies produce melatonin to help us fall asleep at night, but our natural production can be disrupted by things like stress, diet, and exercise. Natrol Melatonin works to increase your levels again, helping to reestablish sleep patterns. It's non-habit forming, so don't worry about taking these tablets. Get 60 tablets from Amazon for $6.04. 28. A weighted blanket that literally mimics the weight of a hug to give you a little TLC while you're drifting off to sleep. The blanket will form to your body and is filled with glass beads to control temperature. Get it from Amazon for $63.50+ (available in nine sizes/weights and eight styles). 29. An enamel pin dedicated to sleep because you've got one true love and are proud to display it. The metal clasp will keep the pin in place, so feel free to add it to a jean jacket, tote bag, or backpack. Get it from Hennel Paper Co. on Etsy for $10.62.